We’ve spent years reading the tea leaves to try to figure out Apple’s TV vision. Every now and then, Apple gives us a glimpse, as it did in 2015 when Tim Cook declared that the future of TV was apps (see “The Fourth-Generation Apple TV Is Coming at Last,” 9 September 2015). Unfortunately for Apple, apps didn’t pan out as the future of TV, so Apple put TV on the back burner until it could come up with a new approach. A redesigned Apple TV app focused on services. (Notice that Apple no longer calls it “the TV app,” but “the Apple TV app.”) This new app will also be available on the Mac later in 2019, probably with the next major release of macOS. From this new Apple TV app, you’ll be able to subscribe to individual channels, called Apple TV Channels. Yes, à la carte programming is finally here! Initial partners listed are CBS, Epix, MTV, Showtime, Smithsonian Channel, and Starz. The new Apple TV app will support existing streaming services like ABC, Amazon Prime Video, ESPN, Hulu, MLB, and NBC. But not Netflix, which undoubtedly sees Apple TV+ as direct competition. You’ll be able to watch live content inside the app through partners like DirecTV Now, PlayStation Vue, and Spectrum (see “Spectrum’s Zero Sign-On App Comes to Apple TV,” 23 January 2019). Later in 2019, Apple will launch its own streaming service with original content, called Apple TV+, in 100 countries. Last, but certainly not least, the Apple TV app will be escaping the confines of the Apple ecosystem. We already knew about Apple’s deals with LG, Samsung, Sony, and Vizio (see “Apple Opens iTunes Video and AirPlay Up to TV Rivals,” 9 January 2019), but Apple has now announced that Apple TV will also be coming to Amazon’s Fire TV and Roku. With that, Apple has covered most of the major players. Many observers have mixed up the Apple TV app, Apple TV Channels, and Apple TV+. Yes, it’s confusing, but they’re all distinct offerings. Apple said it would roll out the new Apple TV app in May 2019. We presume it will come with at least some of the new channels and services. Likewise, the Apple TV app for third-party devices will launch about that time, starting with Samsung. From what we’ve seen of the new TV app, it doesn’t look much different than the old one. You can still use it to access your purchased iTunes movies and TV shows. One nice new touch is a dedicated Kids section, which lets children browse shows by character, much as Netflix has allowed for years. The new TV app will have a strong focus on personalization. A new “swipe” feature lets you effectively channel surf between shows, the difference being that these shows will be ones that Apple’s algorithms think you will like. We’ll see how well it actually works once Apple releases the app in May. Apple said very little about Apple TV Channels, merely listing a few partners and emphasizing that you’d be able to pick and choose among them. No mention was made of pricing, possible bundle discounts, or much of anything else. 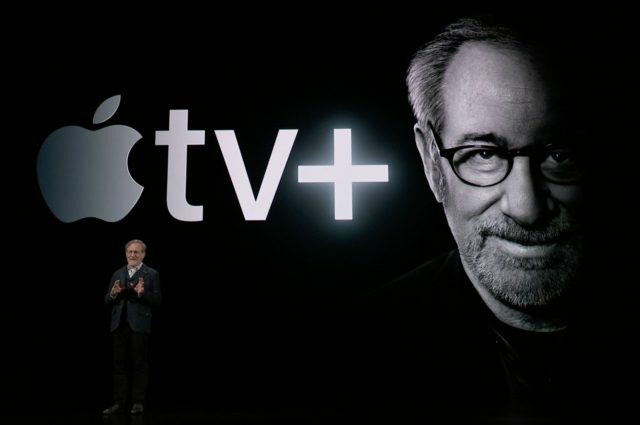 As a result, it’s hard to say if Apple TV Channels will be interesting, or cheaper than subscribing to the likes of Showtime and Starz separately. 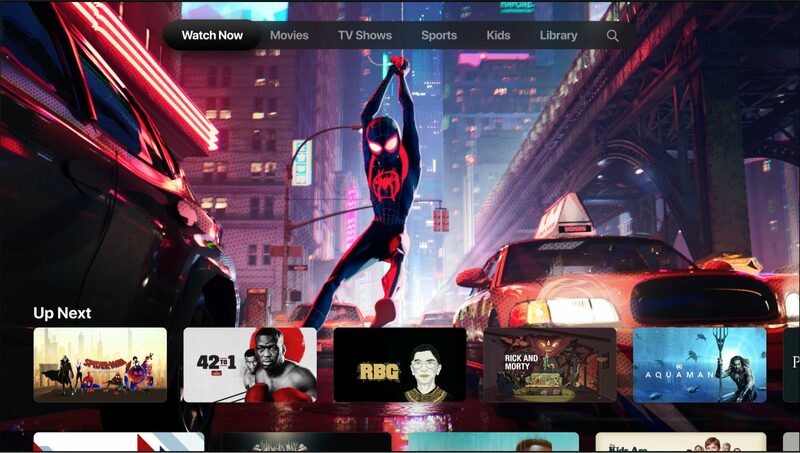 At the moment, it looks as though Apple intends Apple TV Channels as merely a front-and-center reminder to Apple TV users that they can subscribe to more content directly (and give Apple a cut). As with the Apple TV app, we’ll likely learn more in May, and then we should be able to get a sense of whether Apple is providing access to enough of a media library to compete with Netflix. There have been endless rumors about an Apple streaming service chock full of the original content that the company has spent a reported $1 billion on so far, and Apple was finally ready to reveal what it has been working on. Well… kind of. 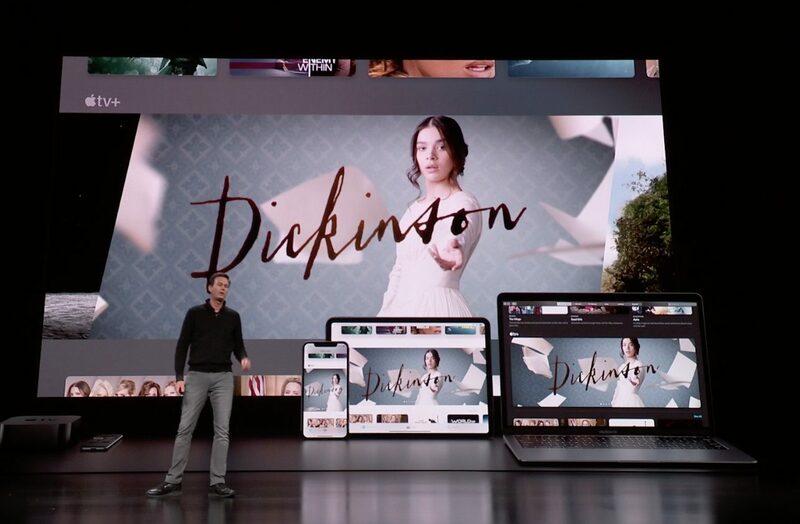 Apple showed what amounted to a few short clips from its shows after a celebrity-packed yet awkward presentation that could best be described as “Apple’s upfronts.” Upfronts are annual springtime industry events, dating back to the early 1960s, in which TV networks announce their new shows to advertisers. Announcing their respective projects were Steven Spielberg (Amazing Stories); Reese Witherspoon, Jennifer Anniston, and Steve Carrell (The Morning Show); Alfre Woodard and Jason Momoa (See); Kumail Nanjiani (Little America); JJ Abrams and Sara Bareilles (Little Voice); Big Bird and fellow muppet Cody (Helpsters); and the all-time queen of daytime TV, Oprah Winfrey (a pair of documentaries). It was a star-studded event that had most technology journalists yawning and scratching their heads, not in the least because, other than knowing that Apple is truly working on these rumored projects, we don’t know much more than we did before. We won’t know for at least six months whether, beneath all of the Apple TV+ rollout’s phony tinsel and glitter, there’s real tinsel and glitter, but we’re not willing to bet that there isn’t. On the other hand, a comedy series about 19th-century poet Emily Dickinson starring Hailee Steinfeld and Jane Krakowski? Who gave the green light to that? While Apple’s TV announcements were wide-ranging, there was a central theme: Apple TV isn’t merely a hardware box anymore, but a suite of services that will encompass everything related to TV, including cable and satellite TV equivalents, rented and purchased content, and whatever exactly Apple TV+ will end up being. And that’s reflected in Apple placing the Apple TV app on third-party devices. In “Apple Opens iTunes Video and AirPlay Up to TV Rivals” (9 January 2019), Josh predicted that Apple might drop the hardware Apple TV entirely. He’s less confident about that now, not so much because of Apple’s TV announcements, but because of the Apple TV’s role in the Apple Arcade gaming service (see “Apple Announces Apple Arcade Gaming Service,” 25 March 2019). With the point of the Apple TV hardware shifting more toward gaming, we shouldn’t expect a cheaper Apple TV “dongle-type” model anytime soon. Apple could ship a cheaper version without the $59 Siri Remote included (you’d just use your iPhone or iPad instead), but that’s been possible all along and hasn’t happened. But we do wonder now if we’ll see an Apple-branded game controller later this year, or perhaps even a gaming-focused Apple TV model. In any case, the overall picture is clear: Apple intends to pour significantly more resources into its TV-related services, and those services will be available on the most common TV platforms. However, it will continue to offer the Apple TV HD (the new, blissfully shorter name of the fourth-generation Apple TV) and Apple TV 4K as premium products that add gaming to the mix. That’s a strategy that should make everyone (relatively) happy.